Kick back in a maxi cardigan. Valid in sizes UK 8-20. Comes in seven stylish colours. 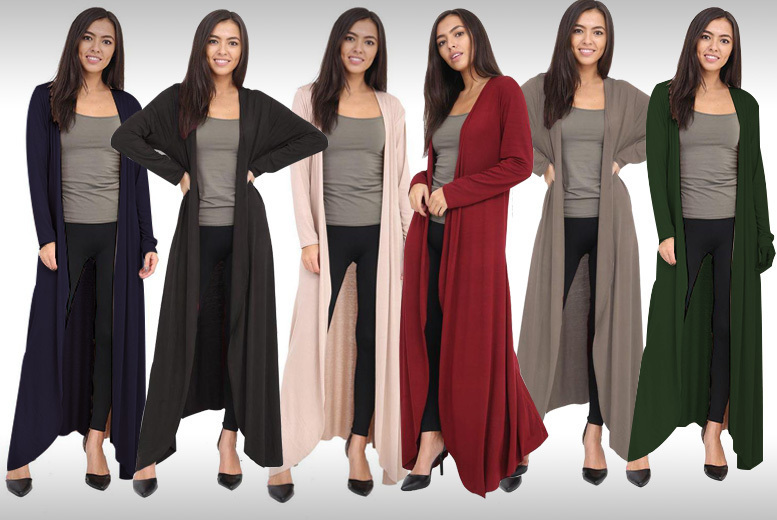 Long-sleeved maxi cardigan with a cool flare.